The WPH Outdoor Hemborg Ford 3WallBall Cup Series is underway, while the construction of the year’s remaining schedule is also going under the knife. In 2015, Hemborg Ford, the World Players of Handball Outdoor Division and 3WallBall.com are pleased to announce that the 2015 Player’s Cup is now packed full of goodies. The top four men and top for women, at the end of the season (3 Wall Big Ball Cup Series Rankings), will be named the Fab Four of Handball and given FREE entry into all WPH Outdoor events for 12 months; meanwhile, the top player will be named the Hemborg Ford Player’s Cup Champion. In addition, WPH, 3Wallball.com and Hemborg Ford, will award the Top male PRO & top female PRO a weekend accommodation at the Stratosphere in Las Vegas, plus a cash prize. Presentation of prizes will take place on center court during the 3WallBall World Championships in Las Vegas on September 24‐ 27. Special thanks to Daryle Uhrich and Hemborg Ford for their sponsorship of the Hemborg Ford 3WallBall Cup. 1. PRO cup divisions include Men PRO Singles, Men PRO Doubles, Women PRO Singles, and Women PRO Doubles. 2. 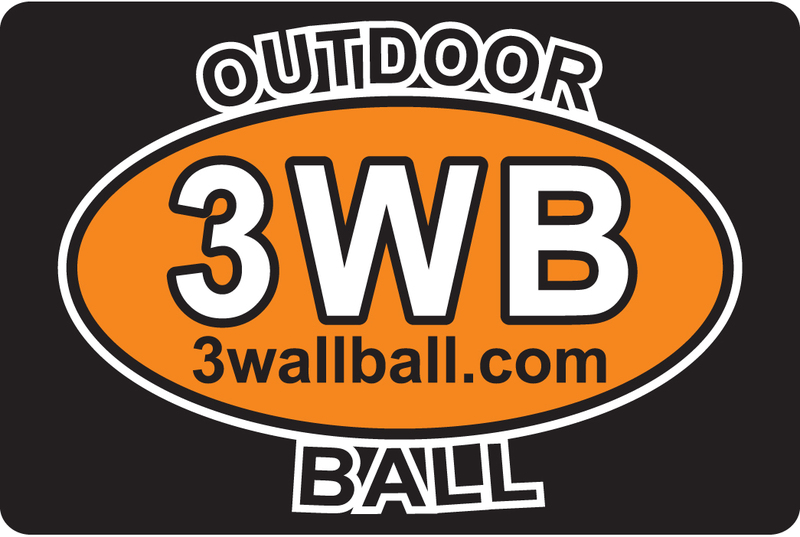 All players who compete in PRO divisions shall accumulate points toward the Hemborg Ford 3WallBall PRO cup. 3. In divisions with four or fewer players, the points awarded for the first round of play shall equal the number of points awarded in the quarterfinals and shall progress from there. When applicable, third and fourth place shall receive quarterfinal points. another division, the player will accumulate points based on their placement in the combined division at the tournament director’s discretion. 5. Players may accumulate points in a maximum of two divisions per tournament for each Hemborg Ford 3WallBall Cup. 6. Players may accumulate points in all Hemborg Ford 3WallBall Cup stops. The Simple Green US Open of Handball is not a cup stop, but results will count toward the ranking points. 7. Top male PRO & top female PRO will receive a weekend stay at the Stratosphere plus other prizes. 9. People who compete and/or participate in the Hemborg Ford Cup Series agree to abide by the ruling of the Hemborg Ford Commissioner/Board in matters concerning the Hemborg Ford 3WallBall Cup. All players must hold a WPH Player’s Card in order to participate. Purchase at www.thehandballstore.com. Scoring: All main draw matches are 12-12-12, best two of three, win by one and traditional scoring (only the server scores); All playoffs, drop-downs, junior main draw matches and consolations are one game matches to 25, win by two (WPH Qualifier format: See WPH for details). The Server: Only one serve (no second serve), two-wall serves okay and all lines are good (except the short line). Server must remain in the server’s area (box); passing over the foot fault line is a “fault.” A screen serve or foot fault is similar to a “short” whereas the server is penalized with a “side out” after the second offense. Check in and Forfeits: A player is considered forfeited from an event if: They are not holding a WPH Player’s Card at the time of their first match; if they show up more than 10 minutes from the start of the match or available court; if they do not register at tournament control (sign waiver of liability, pay tournament fee, etc); if they do not wear proper eye ware; if they do not follow the WPH code of conduct. Once a player is forfeited from an event, their ranking points (if applicable), prize money and winnings are also forfeited. If a player is in multiple divisions, once forfeited from one event, all events in the tournament will also be forfeited.